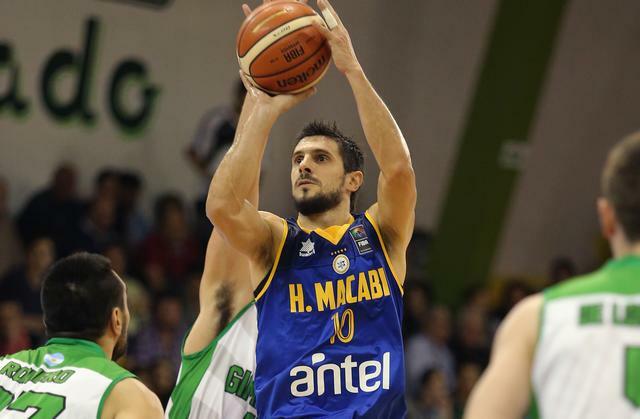 MALDONADO (DIRECTV Liga Sudamericana 2016) - The host of the second semifinal group Hebraica y Maccabi defeated Gimnasia Comodoro of Argentina by score of 89-80, after a second half the team dominated 50-35. With the victory, the Uruguayan club confirmed that the last day of the second semifinal will be decisive for the 2016 edition of the DIRECTV Liga Sudamericana. The winner between Mogi and Hebraica will advance to the Final in search of the Horacio Muratore Cup. Leandro García Morales spoke after the victory over Gimnasia. "We have to understand that we added two players who are playing 25-30 minutes for the team and we have not had a practice with them. At times it shows, both Jeremis and Jaime with their technique supply many things that we do not have from a tactical point of view, but hey the Argentine teams are very alive, very awake for those things, they take advantage on those mistakes. Not so from an inexperienced team like Paulistano, we didn’t suffer so much beyond the percentage of triples they had. We have to correct many things, there is no time. At this time, we must put together a good game plan." "If we had lost to Gimnasia we would have been out. Paulistano already eliminated probably would had won against Gimnasia and Mogi defeated Gimnasia by twenty points, something that would have been difficult to overcome. I’m very happy with the result we got even though I played a pretty bad game. Well, but we were able to win and get to this last game without depending on anyone. Let's see how much energy we have left for tomorrow. We’re fighting for something that would be historic for our club." "Mogi is a tough opponent, but the same with this two teams (Paulistano and Gymnastics). Yesterday there was a very big wear. We played all of the first half and a lot of the third quarter with speed and that is difficult. We are not accustomed to running backwards especially against Argentine teams that play so well. So, well, it's a pretty big wear. Let's see what the result of those games is, I think there was no injury. Let's rest and see how much energy we have left to try to win tomorrow. "